Statistics MW23 Stats: Can Defoe end woe against Spurs? Dele Alli (£8.8m) showed why he is the top Fantasy Premier League transfer target in the lead-up to Gameweek 23 by inspiring Tottenham Hotspur’s FA Cup fourth-round win over Wycombe Wanderers. Acquired by more than 116,000 managers ahead of Spurs’ visit to Sunderland after eight goals over the last six rounds of fixtures, Alli emerged from the bench to score in a 4-3 victory at White Hart Lane. 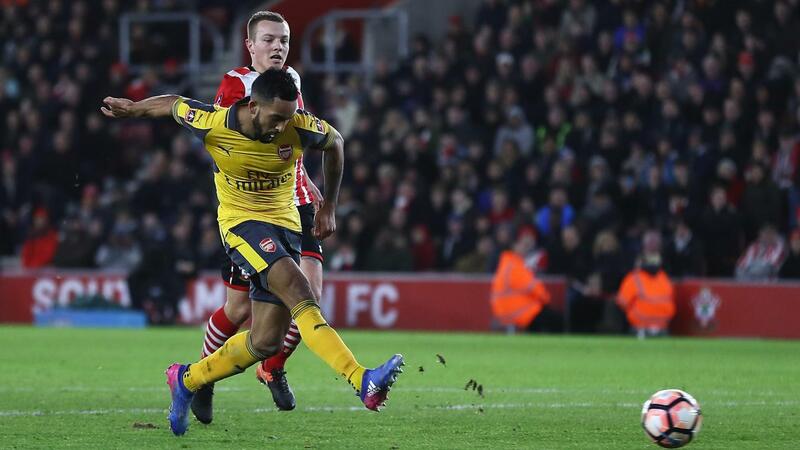 Theo Walcott (£7.4m) served a timely reminder of his FPL potential by firing a hat-trick in a 5-0 win over Southampton. The Arsenal winger missed the last five Premier League fixtures with a calf complaint, with his ownership dropping to 4.4%. But he returned in style ahead of home encounters with Watford and Hull City over the next three Gameweeks. Danny Welbeck (£7.3m) also staked a claim for an Arsenal starting role with two goals and an assist at St Mary’s Stadium. Alexis Sanchez (£11.9m), the top-scoring player in FPL, got only 25 minutes as a second-half substitute but managed a pair of assists. While Walcott presents a viable short-term acquisition, Arsenal are without a fixture in Gameweek 26 because Southampton's involvement in the EFL Cup final that weekend. Chelsea’s Pedro (£7.0m) maintained his recent form in a 4-0 win over Brentford. Despite playing as a wing-back, the Spaniard registered a goal and an assist as the league leaders prepared for a Gameweek 23 visit to Liverpool. Manchester City wingers Leroy Sane (£7.5m) and Raheem Sterling (£7.7m) also caught the eye. Sane scored for the third successive appearance in all competitions in a 3-0 win at Crystal Palace, while Sterling netted the opener. Sterling has produced a goal and five assists in the previous seven Gameweeks ahead of the trip to West Ham United. Henrikh Mkhitaryan (£8.9m) again hinted at his FPL potential as Manchester United beat Wigan Athletic at Old Trafford. With the most popular player in FPL, Zlatan Ibrahimovic (£11.7m), rested, Mkhitaryan netted his side’s third in a 4-0 victory. Owned by only 2.3%, the Armenian has scored or assisted in four of his last five home matches in all competitions as United prepare to host Hull City and Watford in the next three Gameweeks. Hull City's defeat at Fulham ensures their Gameweek 28 fixture with Swansea City will not be rescheduled, with Paul Clement's side also knocked out of the competition. That is one of three Gameweek 28 matches protected from postponement due to the FA Cup quarter-finals, the others being AFC Bournemouth v West Ham United and Everton v West Bromwich Albion.